We love a good craft beer. We seek it out when we travel, and we're lucky enough to be blessed with a lot of it at home here in San Diego. We've also been known to brew up a batch or two ourselves. This was our first partial mash recipe, and we haven't looked back since. 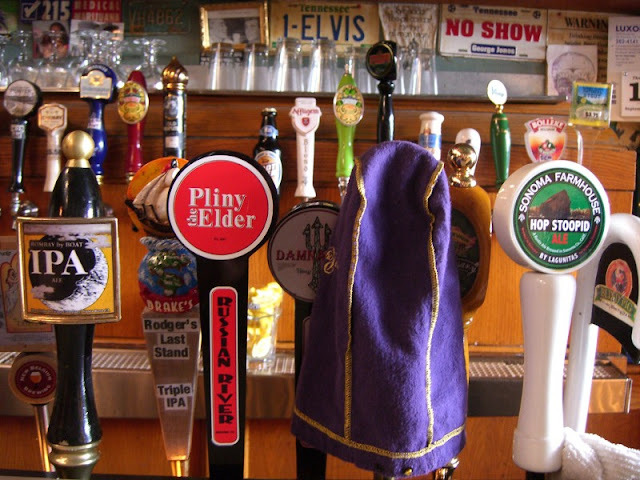 It was loosely inspired by Russian River's Blind Pig IPA. 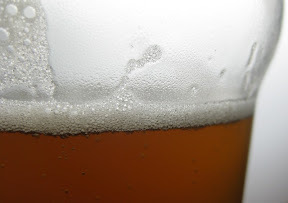 This post also contains an overview of the partial mash brewing process. 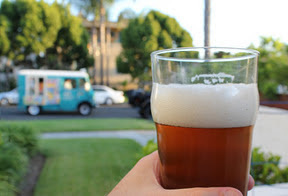 This is a variant of our Piggish IPA that has some Rye malt in the mix. 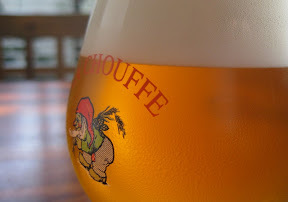 Belgian Tripel meets West Coast IPA in the style of Houblon Chouffe Dobbelen IPA Tripel. A perfect match. Our first adventure on the dark side, and boy did it come out nicely. A light, hoppy and not too high octane beer that is perfect for a summer day when you are having a few. 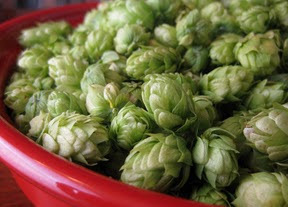 After hand-picking fresh Cascade and Nugget hops at Star B Ranch our near Ramona, California, this is the recipe we used to brew a fresh hop IPA with them. 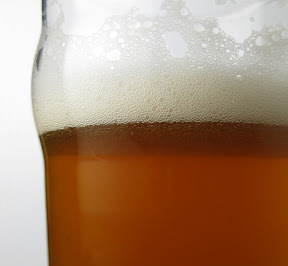 An all-grain beer featuring Nelson Sauvin hops, done on the stovetop. 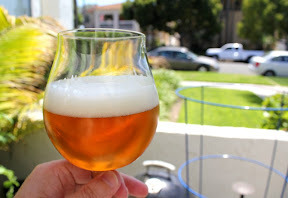 A marriage of a West Coast style IPA malt/hop profile with a Saison yeast. A recipe from our pre-partial-mash days, with a discussion of how important using late extract addition is when making a West Coast IPA. Racer 5, Bear Republic Brewing Co. I'd recognize that bar and the 'gone to pee' anywhere. Russian River Brewing Company in Santa Rosa! Amazing beer! 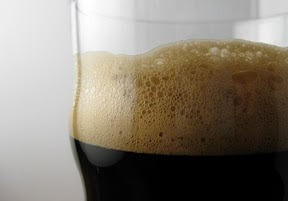 Amazing beer bites! 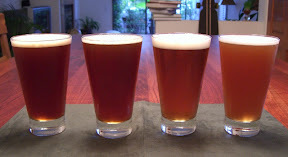 Amazing Beer-tenders! Hi Samantha - yes, Russian River brews some pretty fantastic stuff. Fortunately they are something of an "honorary" brewery here in San Diego and we get their beer on tap pretty frequently. Any visits to Stone Brewing Co. in San Marcos? They are my FAVE local beer! 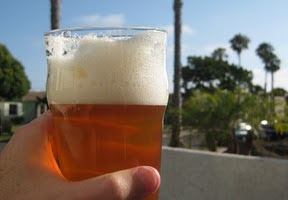 <3 Also I love Lagunitas IPA yummmm. Stone is a bit of a drive for us. We've only been there once, but I enjoyed it.